HOSA is a nationally recognized organization on a mission to equip and empower the next generation of healthcare workers. By providing opportunities for knowledge, skill and leadership development, HOSA enhances the delivery of compassionate, quality professionals to the healthcare field. 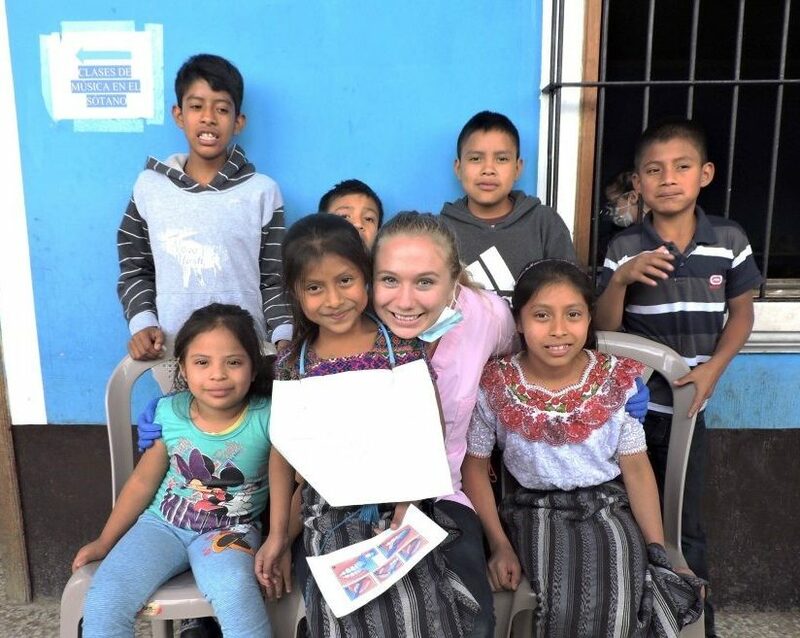 For the past 5 years, Global Dental Relief has joined forces with HOSA to offer their young members an unforgettable experience volunteering overseas. Through a unique scholarship program, HOSA students have the opportunity to be chosen to join GDR in Guatemala each summer. As a scholarship recipient, HOSA students see the world as they’ve never seen it before. They gain unparalleled experience working in a Global Dental Relief clinic. Students volunteer directly with licensed dentists and are trained as chairside assistants. They also assist in record keeping and fluoride treatment and teach oral health education to each patient in the clinic. Global Dental Relief offers free, comprehensive dental care to children in need overseas. By working with volunteers from across the world, GDR is able to treat children experiencing chronic pain at no cost to their families. Both dental and non-dental professionals work side by side in the clinic where each child receives an exam, cleaning, fillings – if needed, a fluoride treatment, and extractions as needed. Global Dental Relief is committed to providing free dental care to children who need it most. During their visit, each child receives a toothbrush and valuable lessons in oral health education. Are you a HOSA student with a desire to make a difference in the life of a child overseas? Do you want to gain experience in a medical clinic overseas? Email us today and find out how you can be a part of our team in Guatemala this summer! Not interested in dentistry? No worries! We work with volunteers from a variety of backgrounds and professions. Our general volunteers are the glue that keeping our clinics running! Contact us today to learn more about this unique scholarship program.